Geist! 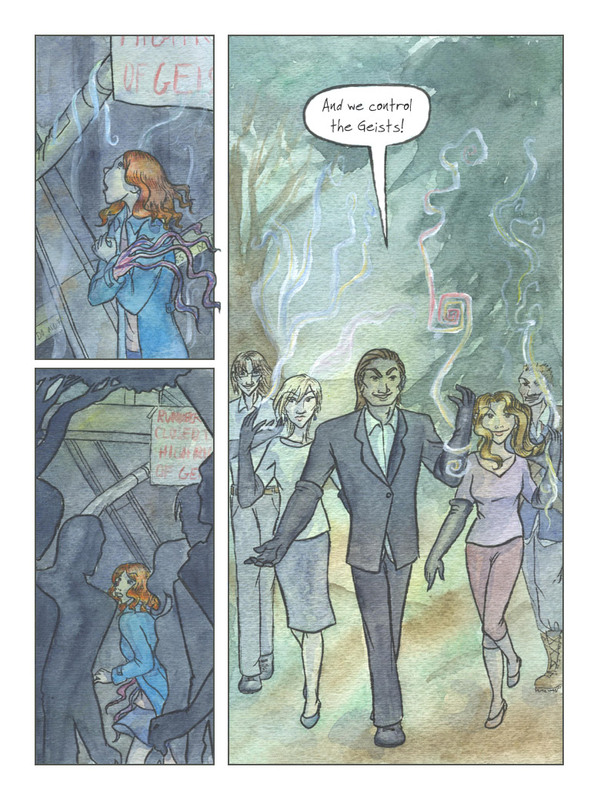 Page 74 – Geist! Hey, this is approximately Geist!’s one-year anniversary online. Happy Birthday, Geist! It’s nice to have a milestone like this every so often (say, once a year), because it’s a big enough space of time that when you go back and look at what you did this time last year, you can actually see that improvement that you always fear isn’t happening. That’s the nice thing about working on something a lot – over time, you really do improve. It’s not just a lie they’ve made up to keep you from becoming awesome at everything just by dashing from one thing to the next with mad, genius intensity. I realize the idea of ongoing effort –> improvement sounds pretty obvious, but it’s something that’s taken me a remarkably long time to really get.